SALELightweight stretch-satin in dark green with big colorful leaves. Stretch-satin in light navy with green jungle leaves. Stretch-satin in jade-green, brass and black. 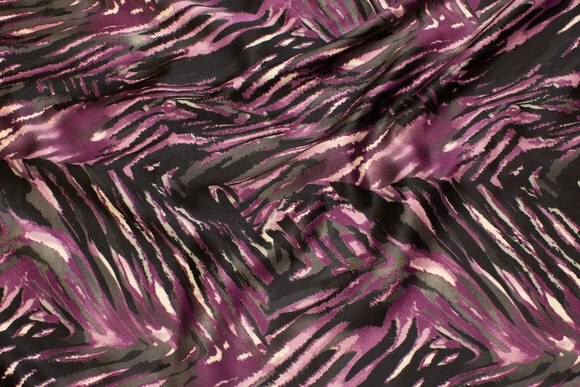 Stretch-satin in light brown and black animal-print. Stretch-satin in cobolt, black and grey animal-print. 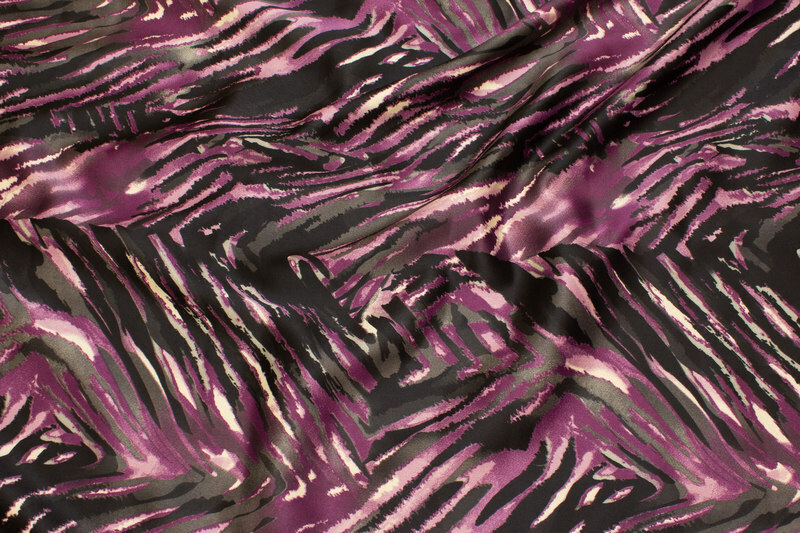 Stretch-satin in grey and black animal-print. Stretch-satin in sand-colored, dirt and off-white. Stretch-satin in black and brown. Beautiful stretch-satin with tigers and flowers. Exciting micro-polyestersatin with art motif. SALELightweight stretch-satin in kiwi-green and bordeaux. Blue-pink-purple-brown stretch-sateen with flower pattern.